USDA zone 3 has the shortest growing season in the United States. Agriculturally, zone 3 is defined as having winter temperatures as low as -30 degrees F. (-34 C.) with a final frost date of May 15 and the first frost around September 15. With such a small growing window, is it even worth trying vegetable gardening in zone 3? Yes! There are many vegetables that grow well in cold climates and with a little assistance, zone 3 vegetable gardening is well worth the effort. Both fresh organic produce and herbs can be grown in zone 3 from May through to the middle of October provided the gardener has selected cool weather varieties and gives the crops protection from frost. Crops growing well in warmer zones 5-8 may not succeed in zone 3, as the ground just doesn’t heat up enough to garner sweet melons, corn or peppers. Growing them in containers, however, may provide possibilities. So when growing vegetables for zone 3, a little advanced planning is in order. Plan to plant suitable crops for your area, ones that set fruit and mature early. Use row covers or greenhouse plastic to protect the plants from night frosts. Grow tender plants inside a greenhouse or place large black painted rocks in the garden near them. These will heat up during the day and then provide much needed warmth at night when temperatures dip. 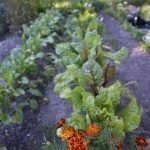 If you’re dying for a fresh salad in zone 3, many leafy greens thrive in this climate and successive sowings can be made from June 1 to the first frost. Butterhead, loose-leaf and early romaine are the best lettucechoices for zone 3 vegetable gardening. Spinach, chardand orachalso do well in zone 3. Radicchio, collards, kaleand escaroleare all good choices for vegetables that grow well in cold climates. Garden cress produces usable leaves in just 12 days. Chinese greens are excellent choices for zone 3 gardening. They thrive in the cool spring temps and are fairly resistant to bolting as the temperatures warm. Try bok choy, suey choy, beauty heart radishes, and shungiku or edible chrysanthemum. Plant them in mid-May and cover them with a cloche to keep the hungry insects from decimating them. Parsley, cilantroand basilplanted from seed produce quick, fresh herbs to liven up meals. Radishescan be set out as soon as the snow melts and can then be replanted every 15 days. While winter squash really needs a longer growing season and some heat, summer squash can be sown successfully in zone 3. The squash may need protection from late frost, however. Cover the ground with a black mulch to help retain heat. Start zucchiniand other summer squash inside around May 1 and then transplant after the soil has warmed in June. Continue to provide frost protection and use rocks or water jugs that have been painted black to absorb heat during the day and provide it at night. Both slicing and pickling cucumberswill grow in zone 3, but they do need frost protection. Because of the lower temps and a lack of bees, pollination may be a problem, so plant short season parthenocarpicvarieties, those that require no pollination or quick maturing varieties that are genoecious, having mostly female flowers. You can plant celeryin zone 3, which matures in 45-55 days. Harvest the individual stems leaving the center to continue to grow. Plant peasin the ground in mid to late April as soon as the snow has melted and then harvest them in early July. Keep the peas mulched and weeded. Garlic, although it needs a long growing season, is winter hardy. Plant garlic in October before the first snows. 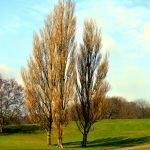 It will grow a healthy root system throughout the winter and then will green up in the spring. Keep it weeded and mulched during the summer and it will be ready to harvest around the first of August. Potatoesare iffy. If you have a frost free summer, they will grow, but a frost can kill them. Plant them at the end of April and hill them up with soil as they grow. Keep them mulched during the growing season. 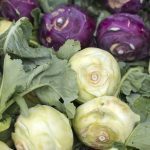 Root veggies such as beets, kohlrabiand turnipsdo very well in zone 3. These crops as well as carrotsand rutabagalove the cooler temps. Parsnips, on the other hand, are slow to germinate and take 100-120 days to mature. Leekscan be grown from seed in zone 3 and can be harvested in a short period of time. True, they won’t be giant leeks, but will still have the delicious flavor. Onionsshould be started from transplants by May 1. Many other crops can be planted in zone 3 if they are started indoors weeks before transplanting outside. Cabbage, Brussels sprouts, and broccolishould be started 6 weeks prior to transplanting. Rhubarband asparagusare reliable crops in zone 3 and have the added advantage of returning year after year. Horseradishis also hardy in colder climates. Plant the roots in the fall or spring. As you can see, there are many crops that can be grown successfully in a zone 3 gardens. Some of them take a little more TLC than others, but the benefits of having fresh, organic produce makes it all worthwhile.